Hello! This is a little feature that is going to take the place of my old monthly music posts as well as possibly sweet stuff sunday as I haven't done either of them in a while. I stole a lot of inspiration for the style of this post from Breanna Rose's blog which is so beautiful and lovely and fantastic, you should go and have a look. So recently the days have been getting a little sunnier and I'm getting really excited for festival season! Finished my last essay for the year on Thursday... so now I am free! First festival is Love Saves the Day in Bristol which happens just across the road from me. I'm also going to be involved in doing the decor for it this year which I'm really really looking forward to. Are any of you going to any festivals this summer? Hope you are all good and have been able to enjoy some of the sunshine! I love "Let It Die." 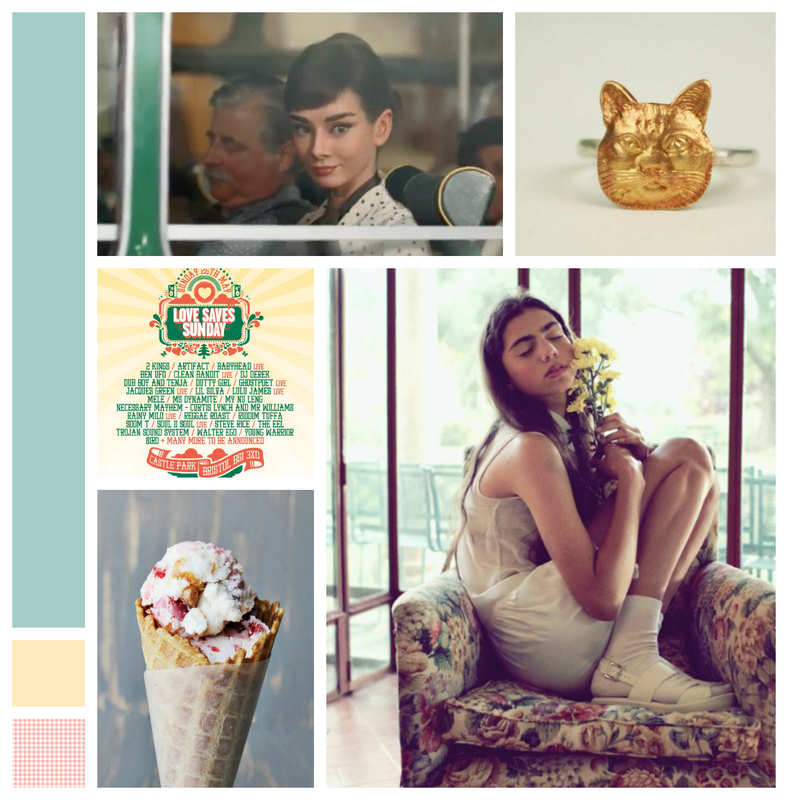 Beautiful moodboard! I really like when people do little lists with songs that they are listening too, you can always find some new favorites :) I hope you've had a great weekend!